Oxford, Harvard, Serial or Cereal Comma? We’re tired of the tiresome “Oxford” – or serial* – comma debate, whose annoying persistence seems largely the doing of the Oxford proponents. Proponents say that when you don’t use the serial comma, you can introduce ambiguity into a sentence. Serial comma opponents point out that when you do use the serial comma, you can introduce ambiguity. Both camps have a point. Now let’s change “strippers” to a singular “stripper” and see where the ambiguity lies. “We invited the stripper, JFK, and Stalin.” This could be understood as our having invited either three people or two, Stalin and a stripper known by the moniker JFK. By writing, instead, “We invited the stripper, JFK and Stalin,” we have eliminated the ambiguity along with the serial comma. What this shows is that neither the use nor the non-use of the serial comma is a sure-fire way to eliminate ambiguity. It’s also worth noting (1) that if the reader has even a smidgeon of context the issue of ambiguity will never arise (who’s going to confuse JFK and Stalin with strippers? ), and (2) that the good folks at the Associated Press, NY Times, Wall Street Journal, Economist and The Times (London), among many others, are capable of writing clear prose without that damn final comma. As for us at Pen-for-Rent, we usually follow AP style, which says, in essence, “use the serial comma only when it’s needed to eliminate ambiguity.” That’s what we always try to do, because clarity is king. For more on this issue, we highly recommend these links: one, two, three. * Before we ever heard this comma dubbed Oxford (or, sometimes, the “Harvard comma”), it was usually called the serial comma. For fun, however, we occasionally like to call it the cereal comma. Why? Because a classic example of when it should be employed – to avoid ambiguity – is when a series includes a pair of things joined by “and” that we customarily think of as a single item. “Peanut butter and jelly” or “bacon and eggs,” for instance. 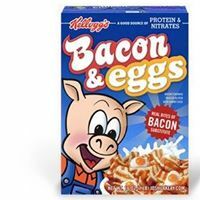 Thus, when writing about what we had for breakfast, we might say “orange juice, cereal, and bacon and eggs.” This is a perfect example of where using the serial (“cereal”) comma makes good sense. By placing a comma before the last “and” in the series (but not the last “and” in the sentence!) it signals the reader that breakfast comprised three things, not four, and “bacon and eggs,” a single dish in most people’s minds, is just one of them. Glad you liked the post, Tom! I was originally trained as a journalist, and was accustomed to the AP rule. After going to law school and starting to write for an audience of lawyers, I drew the ire of true believers in the serial comma. On the theory that persuasive writing sometimes requires adherence to the crotchets of your audience, I now use the serial comma more often than not. That doesn’t mean I have to like it. A recent case from the United States Court of Appeals for the First Circuit put that court’s stamp on the serial comma. (You can find the case here: http://media.ca1.uscourts.gov/pdf.opinions/16-1901P-01A.pdf). Maine law makes certain workers ineligible for overtime pay, but also has a statute exempting other workers from the effects of that rule. Those workers engaged in “canning, processing, preserving, freezing, drying, marketing, storing, packing for shipment or distribution of” specified foods were eligible for overtime pay. Delivery drivers argued that the omission of the serial comma after “shipment” meant that the last phrase referred to the single act of “packing,” whether for shipment or distribution. The Court agreed, finding the lack of the serial comma rendered the statute ambiguous. Ambiguous documents are subject to certain rules of construction. Ambiguous contracts, for example, are construed against the drafter. 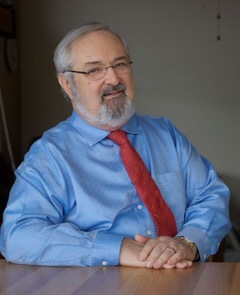 In this case the rule of construction was that the exemption statute had to be construed narrowly to further the remedial purpose of the primary statute to ensure that most workers should be paid for overtime work. The drivers won. In the law, “ambiguous” means a document is susceptible to more than one reasonable interpretation. Many of the examples used to demonstrate the pros or cons of the serial comma tend toward the absurd to make a point. But they are not always examples of reasonable interpretations. Thank you, Barry. Glad you liked my post. I’m sharing your piece—not only because I agree with the spirit of it, but also because you used “comprised” correctly. That I hardly ever see!